Slap The Penguin: Do they know it's Christmas? For 30 years this song has infiltrated the Christmas playlist alongside classics like 'Last Christmas', 'Merry Xmas, Everybody', 'I Wish it Could be Christmas Everyday', and 'Fairytale of New York' and will be played in a continuous 6 hour rotation on any commercial radio station after November 30th. The song was written, recorded and released in a matter of hours as a reaction to a news report showing the plight of Ethiopian children experiencing a horrendous famine in their homeland. If Geldof and Ure had taken a little time to think about the situation, they would have realised that the eastern side of Ethiopia, where the worst of the famine was concentrated was infact dominated by followers of the Muslim faith. 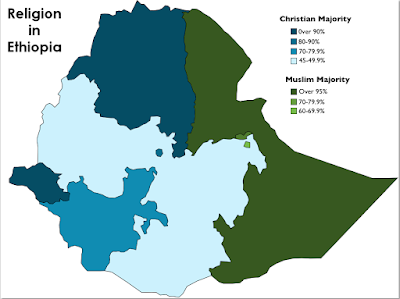 This part of Ethiopia is also very poor, even by African standards and the likelihood of the average East Ethiopian child knowing or even caring that it is Christmas is incredibly low. This makes the title of the song essentially redundant. Of course they don't know it's Christmas. If they called it 'Do They Know it's Eid Al-Fitr?' it would have been a resounding yes. "We have been fasting during daylight hours for Ramadan and we would love to stop fasting, but there is no food. Do you not know what the word famine means?" could be one of the things that an Ethiopian may have told us if we had the budget to fly there to interview them. 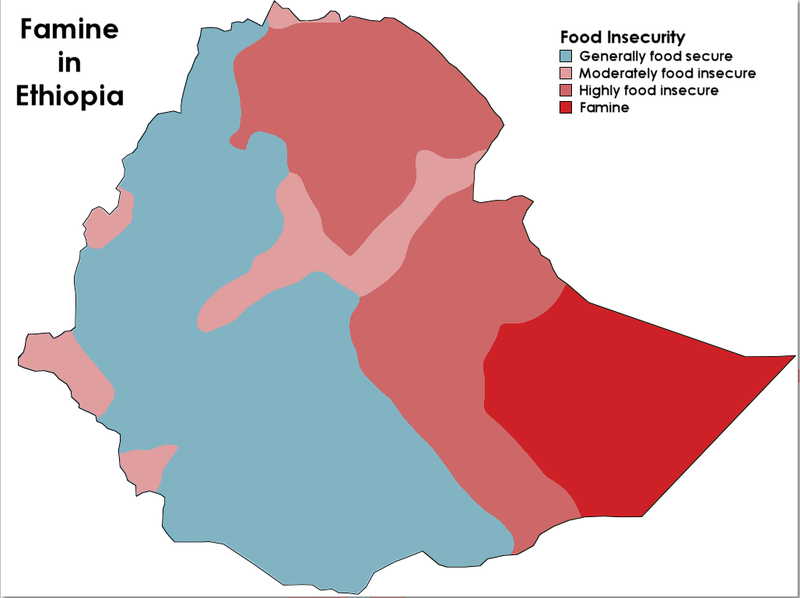 The comparison of the two maps shows that the Christian dominated areas of Ethiopia have remained mostly famine free, and would not have benefitted from the Christmas help offered by Bob, Midge or even Bono. For some reason, this song has been regurgitated 3 times over the last 3 decades, with each iteration featuring lesser talented performers, and not one of them can successfully answer the question posed in the title. So, for the benefit of our readers, and the millions of people who have asked this question themselves over the decades, allow me to give the most probable answer. 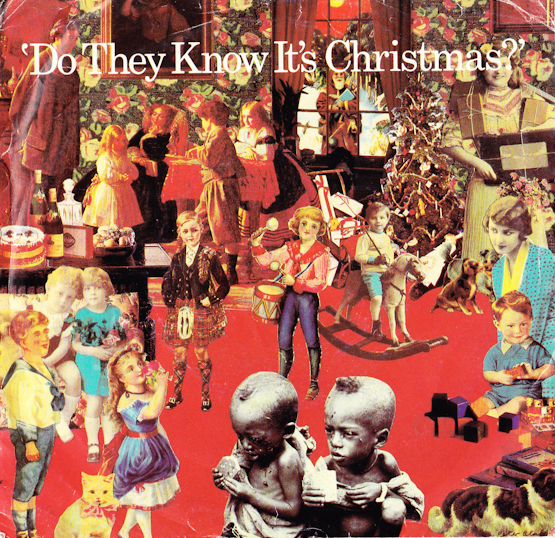 No, they do not know it's Christmas! What do you think? Does Christmas leap across the boundaries of religion? Did the starving Ethiopian kids from 30 years ago know that Bono would become a living legend and that meeting him was the ultimate Christmas gift? 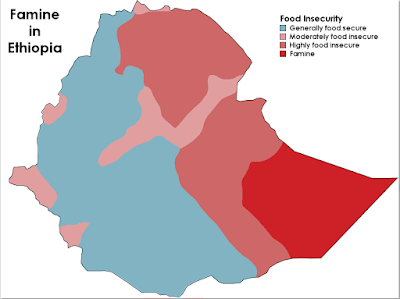 How does Santa deliver Christmas gifts in Ethiopia when there is no snow? Please share. PLEASE.